Jane Sleeth, Managing DirectorHon. B.P. & H.E., B.Sc.PT., C.P.T. Hon. B.P. & H.E., B.Sc.PT., C.P.T. A former professional tennis player and physiotherapist, Jane was one of Canada’s first Professional Ergonomists and Accessibility Consultants. 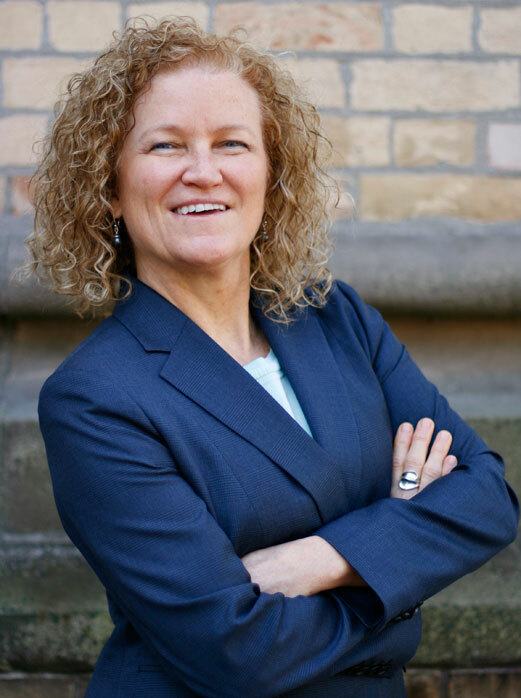 Over the past 23 years, Jane has been involved in the management and prevention of disability as a physiotherapist; rehabilitation department manager in a large Toronto Hospital; wellness and prevention consultant; case manager and managing director of Optimal Performance. which Jane founded in 2001. Jane holds an Honours Bachelor of Science Degree in Kinesiology and Physiology from the University of Toronto; and a Bachelor of Science Degree in Physiotherapy also from the University of Toronto. While studying for her Hon. B. of P. & H.E., Jane was one of the main researchers for the published study “The Physiological Impact of Exercise in the Cold”, Primary Author R. Sheppard, U of T/DCIEM. After completion of Jane’s B.Sc. in Physiotherapy she was co-researcher for a study conducted at Toronto East General Hospital which was internally published and is entitled “The Impact of Mental Training on Functional and Healing Outcomes of Patients with Carpal Tunnel Release”. Her work with companies such as RBC, Scotiabank and Bank of America, PwC, Chrysler Canada has led to outstanding results and enhanced ergonomic and accessibility practices. With more than 27 years of experience with numerous industries, Jane leads the OPC team with confidence, professionalism and unique expertise. She and her team are setting examples in an economy where industries are finally realizing that ergonomics and accessibility are crucial components in a successful business. Jane is a regular and sought after speaker at national and international conferences speaking about how Optimal Performance has collectively taken a unique an innovative approach to the management and prevention of injuries, illness and disability in the workplace which differs from any insurance company or other ergonomic and disability management firms in the country. Jane has a considerable body of published work and articles in national health and safety; ergonomic; human resources and peer reviewed journals. Jane is author of the bestselling books. The Internal Ergonomic Program Book. The “Crisis of Psychological Disabilities in Canadian Workplaces”, Case Studies and Guidance for Human Resource Managers”. Understanding, Preventing and Controlling Back and Neck Pain. Joshua Fick is a senior Ergonomic and Human Factors Consultant with Optimal Performance Consultants Inc. (OPC). Joshua’s responsibilities include conducting ergonomic assessments, performing job demands analyses and leading ergonomic education sessions. 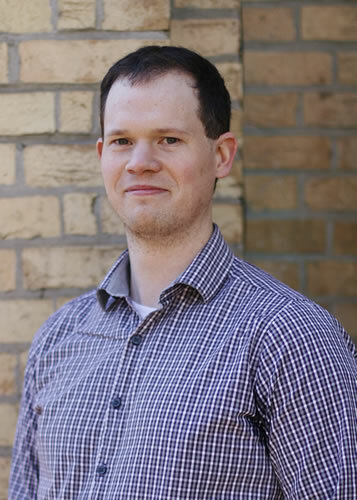 As a Registered Kinesiologist with the College of Kinesiologists of Ontario, Joshua believes that everyone should have access to the proper tools and knowledge to live actively in a safe yet satisfying way. His background in ergonomics has given him the opportunity to apply this approach to the workplace. Joshua’s goals include reducing work-related musculoskeletal injuries by providing expert ergonomic consulting to employees, supervisors, senior managers and engineers. His assessments help clients improve workplace design, equipment design and ergonomic education at all levels within an organization. Joshua has also spearheaded numerous projects to improve the ergonomic conditions in the manufacturing sector. Joshua holds a Bachelor of Kinesiology from Brock University and a Master of Science in Biomechanics and Ergonomics from Queen’s University. He is currently working towards his Certified Professional Ergonomist Certification through the Board of Certification in Professional Ergonomics (ACE). 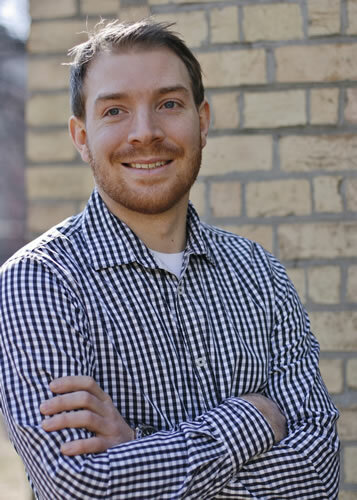 Alex is an Ergonomic Consultant with Optimal Performance Consultants Inc. (OPC). He handles all office assessments in the Greater Toronto Area (GTA). Alex specializes in providing clients with the tools and information they need to have an ergonomically-fit workplace. In addition to executing standard Ergonomic Assessments, Alex leads walkthrough assessments for various companies in different sectors across the GTA. Alex has a strong desire to learn and a curiosity about how the human body works. This is what led him to pursue his degree in Kinesiology at the University of Waterloo, where he graduated with honours. After two years of working in various rehabilitation clinics as a Kinesiologist and Physiotherapy Assistant (PTA), Alex went looking for ways he could help prevent the injuries he would treat every day. Alex joined OPC in 2013. His work with the team has strengthened his knowledge and love of ergonomics and human-factor design. He is also a part-time student at Ryerson University, working toward a Certificate in Occupational Health and Safety. Alex’s goal is to become a Canadian Registered Safety Professional by 2017. 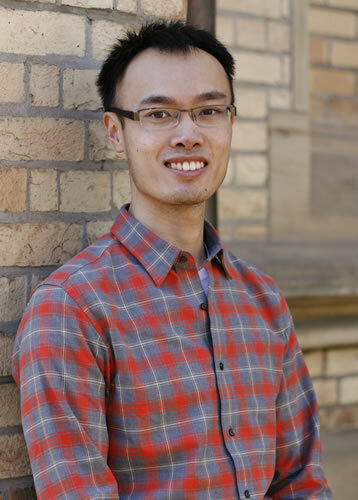 Leo Chau joined Optimal Performance Consultants Inc. (OPC) in 2014 as an Ergonomic Consultant and Physiotherapist. His responsibilities include conducting ergonomic assessments for manufacturing and production businesses and office environments. He works directly with managers to address issues brought up by employees and provides recommendations that will minimize health risks while improving productivity and morale. Leo holds a Bachelor’s of Kinesiology with a specialization in ergonomics and Master’s degree in Physical Therapy from the University of Toronto. As a practicing physiotherapist, he uses his knowledge of anatomy and human movement to provide a unique perspective on reducing workplace risks and improving workplace design. Leo’s academic background in rehabilitation medicine allows him to handle cases involving complex injuries and specific return to work accommodation. Sandi Danilowitz is an Ergonomic and Job Demands Analysis Specialist at Optimal Performance Consultants Inc. (OPC). In 1998, Sandi graduated from York University in Toronto with a Specialist Honours Bachelor in Kinesiology and Health Sciences. After graduation, she traveled to Australia where she worked for Kimberley-Clark and was charged with performing complete physical demands analysis inventories, updating the company’s database and performing ergonomic studies. While in Australia, Sandi was recruited by a start-up fitness training company where she became Head Fitness Trainer. She was responsible for the design and implementation of fitness and wellness programs. Her programs were created for both individuals and corporations interested in introducing these types of programs to their employees. Sandi returned to Canada in 2011 and worked in the highly specialized areas of functional abilities testing and physical and job demands analysis within a rehabilitative clinical setting. She has also worked as a Health Management Specialist, assisting people return to work after having been on Long-Term and Short-Term Disability. This rehabilitation experience allows Sandi to understand the outcomes of poor ergonomic design in the workplace and the related costs. Sandi has extensive experience in functional abilities evaluation testing for all injury and illness types – from cardiovascular to musculoskeletal – for insurance and compensation related cases, physical and job demands analysis for heavy industry to offices and ergonomic assessments in office, production and manufacturing and healthcare settings. Recently, Sandi successfully completed Precision Nutrition’s Level 2 Master coaching program. The program has given her a more complete picture of health and has shown her the importance of holistic approaches to health and wellness, both in and out of the workplace.